I spent the weekend shooting with the 7D. There is definitely a learning curve moving from the Canon 40D to the Canon 7D. Those 19 AF points can be frustrating. They seem to pick the object closest to the camera to focus on. I had much better luck focusing with the Zone AF or even the Single AF. And yes, the above shot was taken at ISO 3200 with the standard NR setting in the camera. I just used Photoshop to level off the horizon. More 7D stuff coming this week. Since you have both the 40D and the 7D, would you say the the 7D handles noise better at higher ISOs. 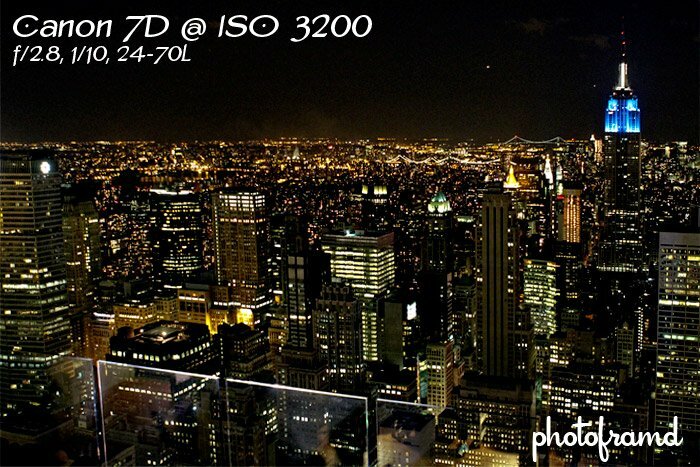 What would your comparison be … for example the 7D’s ISO 3200 is comparable to the 40D’s ISO 1600. Just curious as I am wavering between the 5D II and 7D. Would love to save for the 7D but ISO is my main concern and if it’s not much different from the 40D I may have to wait a little longer. There is no comparison! I would be reluctant to push the 40D above 800 since it does become noisy. I have thought about doing a comparison between the two cameras … maybe next week. great! thanks for the input and great reviews! do you have some 100% crops ?